I’d like to share some thoughts on a **”Webmaker Special Interest Group”** for the Mozilla Reps program. This conversation owes a lot to many Reps and Webmakers so far; in particular, a huge thanks to Henrik Mitsch, William Quiviger, and Pierros Papadeas for supporting the idea and for your thoughts to propelling it forward. Firstly, what is this SIG jargon? 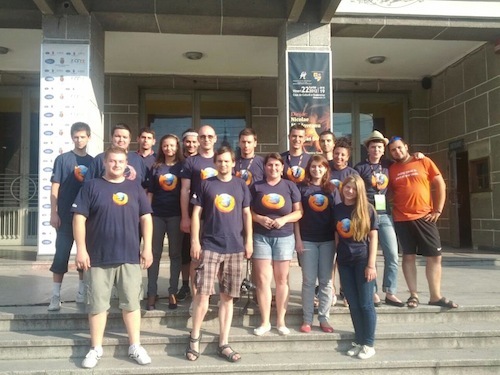 **[A Special Interest Group](https://wiki.mozilla.org/ReMo/SIGs) is a group within the [Mozilla Reps](https://reps.mozilla.org/) program that has a particular interest in a specific area of the Mozilla project. 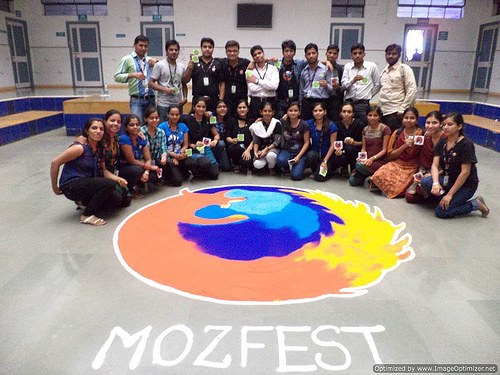 ** These groups are created to help Reps to sharpen specific skills and work more closely with Mozilla staff responsible for those projects. SIGs are also key drives of participation and new volunteer opportunities. One of the strongest indications towards a Webmaker SIG was the amazing leadership and participation by Reps during the Summer Code Party. We recently ran an event campaign, encouraging people to grab their friends and a laptop and hack together over the summer. **44 Reps organized events, and they were by far and away some of the most inspiring and impressive events around the globe. ** From Argentina to Switzerland, Romania, India, the Philippines, Kenya, Nigeria, and beyond, Reps led the way with some of the best documentation and turnouts at Summer Code Parties. Building on the momentum from the Summer Code Party, a number of us on the Webmaker team chated with Reps about the ways to weave together the ReMo program with Webmaker projects and methods. Some of these ideas were shared on the Webmaker and Reps-General mailing list, and other came about on community calls or quick IRC chats. **The [ReMoCamp2012](https://wiki.mozilla.org/ReMo/Council/ReMo_Camp_2012) kindly invited me** to discuss the latest Webmaker initiatives and invite Reps to get involved. 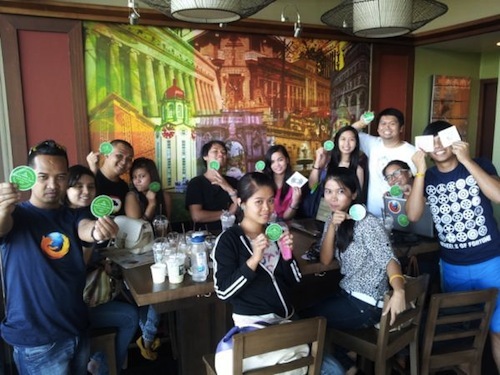 From there, it seemed there was **enough general interest from the Reps community** to pursue the Webmaker SIG more fully. **We put in a [proposal at Mozcamp Europe](https://wiki.mozilla.org/MozCampEU2012/webmaker_sig) to run a session with Reps** to hear about what they want out of this program and how it could take shape. This is a summary from our Mozcamp Europe session. You can check out the [full notes on the etherpad](https://events.etherpad.mozilla.org/webmaker-sig?) and add to them. * **Lead peer learning and mentoring, including teaching people how to run Webmaker events. ** [A great example](http://www.zythepsary.com/techie/the-power-of-contribution/) of this is Mozilla Rep Gauthamraj from Erode, India who’s teaching a young webmaker to how to hack the web and [even organize her own events](https://donate.mozilla.org/page/event/detail/4jr78) with friends. * **Organize outreach and trainings, especially for local schools and instructors. ** Design local learning campaigns tailored to their area. We can see some great beginnings to this approach, led by Reps in Pune, India and Victoria, Canada. * **Write, improve and localize documentation for people learning the web. ** This could perhaps build upon the newly launched [Web Platform Docs](http://docs.webplatform.org/wiki/Main_Page), adapting it to make accessible for beginners. There’s also the excellent [Mozilla Developer Network (MDN)](https://developer.mozilla.org/en-US/learn) full of documentation which could be extended, simplified and otherwise customized for webmaking. * **Spearhead the Webmaker localization process and infrastructure. ** At the moment, Webmaker is very weak on localization. We know this is one of the most important things to get right, and Reps could really help us learn how to set up the right processes and tools to make it sustainable and effective. * **Craft new learning missions. ** These could be built on existing Mozilla tools, like Thimble and Popcorn Maker, or even around other great learning tools, like App Inventor. * **Push innovation on the edges. ** As Henrik Mitsch described it, Reps are also in a perfect position to explore “Grenzwissenschaften”, the science on the edges. As skilled web developers who think creatively and with the community in mind, Reps can lead the way with code contributions. This could be coding directly with tools like Popcorn.js, OpenNews’ Source, Thimble, etc. or shaping new things. * **Collaborate with coder communities. ** Reps are often well-networked with local and global developer communities. It’s a great opportunity to hack with these broader groups and innovate together around projects that teach and push the web forward. * **Identify and hack on much-needed features. ** There are loads of features we’d love to ship. Having Reps help identify, design and develop these features would be a huge win. Offline Thimble, anyone? I think these three categories, **mentorship, documentation and code** are very useful to start thinking of how to structure a Webmaker SIG to foster contribution in these areas. To move forward, there are still a few open questions. We should tackle them on the mailing lists and IRC. * **Target instructors. ** The Webmaker program is [looking at three instructor types](https://rwxweb.wordpress.com/2012/07/03/build-an-instructor-community/). **Which ones fit as target for Reps to focus on? ** i) Already teaching “web making”; ii) Already teaching, maybe not web making. (eg: camp instructor); iii) Second-generation teachers: people we could teach how to teach, and then they might. (ie: the learners becoming the teachers); iv) Other? I hope this has been a useful summary. It’s a mad time at the moment because of Mozfest, but here’s a proposal for next steps. It’s all hackable, so please chime in. * **Share proposal on Tuesday, October 23 on the [Webmaker community call](https://wiki.mozilla.org/Webmakers/Community_Calls). ** Cross-post to the Reps-general list for discussion. * **Start fortnightly IRC meetings** with anyone interested in developing the proposal. These can kick off on October 30, one week after the community call. I read your SIG post with great interested, and excitement. I feel there is so much to do, and make and grow – and soon! I think SIG roles should exist for non-reps, I think restricting membership is missing opportunity for those who want to do ‘something specific’ without taking on the expectations of being a Rep. Having said that, this role could still have an application process and mentor. I want to INCLUDE people like Clint and Scott as much as possible, I want people like them to see how they can take a webmaker activity and ‘own it’, without feeling obligated beyond that . If that makes sense? Probably the last two – if they are already teaching web-making, they know the questions to ask. The evangalism to me, is reaching teachers who are teaching but don’t know about Webmaker/web literacy, and those (like scout leaders) who might be technical in their lives, and willing to make the leap as ‘teacher’. I think even with Reps as Webmaker Mentors there needs to be a go-to staffer. As Reps we are all volunteers, with variable schedules so to ensure quality and stability there needs to be a point of contact with a dedicated resource. So those are my thoughts anyway, hopefully coherent! Glad to hear updates for webmaker SIG, actually Reps involved with SCP are desperately waiting for this. I hope this SIG will lead a new dimension in webmakers community. Free knowledge like this doesn’t just help, it promote deomrcacy. Thank you. As kids/youth experience Webmaker activities, events, lessons, clubs (etc) I suspect a small portion will want to make the leap to organize their own events/spread the word /hack popcorn(whatever)- so..how can the SIG include (non-grownups) too? Lots of Open Source contributors are young. Who better than kids themselves to talk to teachers, scout leaders, parents….other kids – I would like to empower them too.